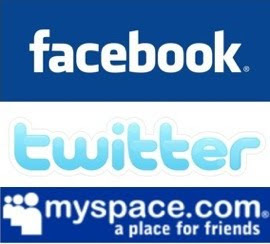 A June 2009, 2,600 hiring manager survey from Careerbuilder found that 45% of employers are examining your online, social networking presence (especially Facebook) to learn more about you before they make a hiring decision. More interesting is that 35% claimed to have found information on a site like Facebook that caused them not to hire someone. 35% is huge! What kinds of things caused them to reject a candidate? Over 1/2 found inappropriate photos or information. But, 18% also said they used online content about candidates to justify their hire. They liked what they saw, and found it to be a major positive influence on their hiring decision. So, lessons learned? The careerbuilder article has a list of 5 dos and don’ts. Basically,they say be very aware of the messaging you’re putting out there about yourself – your personal brand, and maybe your next job, is at stake.